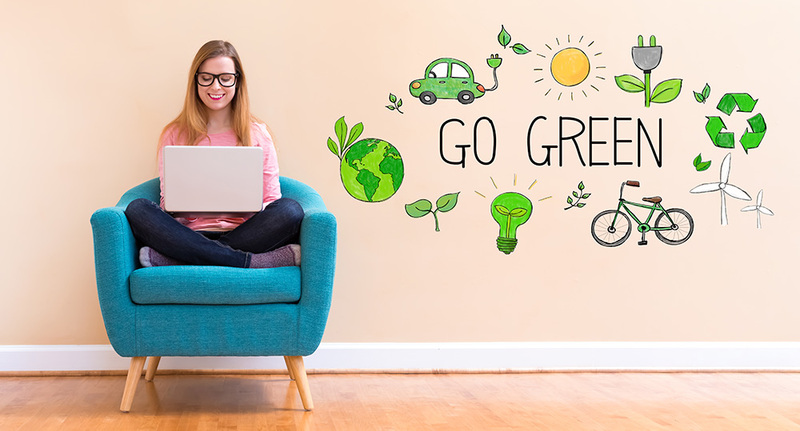 Many homeowners want to add energy-efficient devices and appliances, and want to incorporate “green” features into new homes, additions, and remodels. The language around eco-friendly options can be confusing and strange to newcomers, which makes it difficult to talk to your builder or contractor about what you want, and what options fit your project best. Now there’s a great guide to green lingo – eco-friendly terms for talking to contractors! You already know that green home features that reduce energy costs, improve comfort, and help to improve the environment are in demand among buyers. But when you’re building a new home or incorporating green features into an existing home, some of the building techniques and jargon can be a bit of a mystery. Green Builder Media clears up some of that confusion with its free Homeowner’s Handbook. The document outlines what you need to know when you’re making small changes –choosing new lightbulbs, for instance – or tackling bigger projects like ground-up construction or installing a new roof. The chapters are easy to digest and include topics like renewable energy systems, plumbing, HVAC, and windows and doors. The section about insulation, for example, explains the importance of insulation and its impact on your wallet and comfort, along with and the various types and their virtues. Many sections also include a “Know the Lingo” box to explain confusing terms you’ll encounter, whether that’s R-value, ridge vents, cogeneration, inverter, volatile organic compounds, or solar heat gain coefficient.